Agnes Hombach is a registered Biodynamic Craniosacral therapist and certified Shiatsu therapist. Her career in healthcare started in 1985 as an emergency paramedic for the BC Ambulance Service. Experiences in this field sparked her interest to pursue more holistically oriented healthcare studies. In 2003 she completed her training as a certified Shiatsu therapist; and in 2008 graduated as a certified craniosacral therapist, both through Langara College in Vancouver. Agnes was introduced to the biodynamic approach to craniosacral therapy during her studies, and completed the foundation training in March 2012 with Bodyintelligence in Vancouver. After practicing in Vancouver and Vernon, Agnes enrolled in the Somatic Experience Professional training program to deepen her understanding of trauma and its effects on the nervous system. She completed her training in March 2015. After attending the ‘Mothers, Babies and Children’ craniosacral post-grad seminar in June 2016, Agnes has extended her practice to include working with moms and babies. Contact 250-306-9283 to book a session today, or agnes@tidalelements.ca for specific questions about the modalities that she offers. Aimee is certified in Biofield Tuning – under Eileen McKusick who has spent 22 yrs. researching, exploring, and mapping out the territory of the human biofield. This sound frequency therapy harmonically tunes your electrical field on a cellular level, back to its most optimal state of health & being. Using tuning forks, this particular technique focuses on the biofield – combing thru to clear out any disruptive static (biophotons) so that your energy body can be a clear channel in sending & receiving information to your cells. When all of your electrical highways & meridians are flowing optimally thru the body, everything can flow in a state of harmony, health, and clarity. Aimee also specializes in past life regression recall and is certified in QHHT (Quantum Healing Hypnosis Technique) under the umbrella of Dolores Cannon, who had 40 years of experience before she recently passed on. She also studied under the late Sylvia Browne prior to her training with QHHT. Aimee has currently been practicing past life regression recall for over 10 yrs. Aimee is an intuitive empath who has a strong desire & passion to help others heal their emotional wounds both past & present. She feels guided to aid in the process of helping others connect with their authentic selves, and to be the best version of this once they can remove the fears and blockages that prevent them from moving forward in the love & light that they truly emanate. Contact 250-306-9283 to book a session today, or aimee@tidalelements.ca for specific questions about the modalities that she offers. Anne-Marie Pitre is a Registered Craniosacral Therapist and Reiki Master/Teacher. Born in Ottawa, Ontario, Anne-Marie grew up in a military family and developed the taste for travel and adventure at an early age. Much of her professional background is in Human Resources Management, having worked for a number of private sector businesses across Canada for over 20 years. While always drawn to the healing arts, it wasn’t until 2010 that she began exploring in earnest, studying 1st, 2nd and 3rd (ART) Degree Reiki with Kathy Glover Scott, M.S.W., in Ottawa and further receiving certification as a Reiki Master from William Lee Rand in Seattle, WA in 2013. In 2017 she continued her study and attunement to higher degrees of Reiki (4th to 7th Degrees) with Kathy Glover Scott, M.S.W. In 2013, while seeking treatment for chronic lower back/sciatic pain, Anne-Marie experienced firsthand this powerful therapy when she noticed a remarkable decrease in symptoms and increase in range of mobility after only one session! Astounded by the gentle nature of craniosacral and the incredible results, her dream was to learn the therapy, continue her own healing and help others. 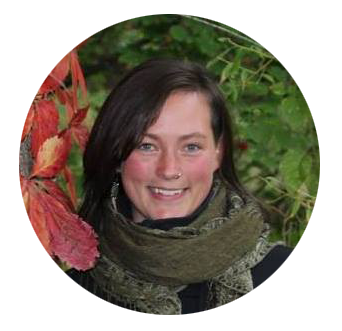 In 2017 Anne-Marie enrolled in the Body Intelligence Training of Biodynamic Craniosacral Therapist program in Vernon, BC and graduated in September 2018. Today, Anne-Marie shares her passion for travel and motorcycles with her husband John, in the beautiful Okanagan, British Columbia. Contact 250-306-9283 to book a session today, or anne-marie@tidalelements.ca for specific questions about the modalities that she offers. Cecelta White was born in BC into a tradition of healthy living. Diagnosed with a progressive spinal disease when she was 7 years old, Cecelta’s mother taught her to strive for optimal health regardless of her underlying condition. Growing food in their organic garden, using herbal medicines when appropriate and living a life full of fresh air, sunshine, clean water and exercise helped Cecelta live a full and healthy life despite her diagnosis. This led to her pursuing a career in Natural Health Science, specializing in Biofeedback and Herbalism. She owned and operated a Natural Health Clinic in Ontario for 15 years helping others to also strive for optimal health. Currently, Cecelta has moved back to her hometown of Vernon where she is now in Partnership with Tidal Elements Healing Arts Studio introducing Infrared Light Therapy to the Okanagan. In her spare time she enjoys yoga, drawing, gardening, music, nature walks, tai chi, and traveling. Infrared Light Therapy provides non invasive drug free tools to promote health and well being. It can dramatically increase circulation, reduce inflammation and encourage healing. Infrared Light Therapy supports healing for Brain Injuries, Fibromyalgia, Arthritis, Muscle Strains/Sprains, Back and Neck Pain, Neuropathy, Wounds, Sciatica, Tendonitis, Bursitis and more. These Class II medical devices are simple and safe for anyone to use. Christopher Wallace works with the healing traditions of Thai Massage, Ayurvedic Massage, Yoga Therapy & Integrative Energy Healing, holding certifications in all modalities and a Diploma of Eastern Therapies and Bodywork from Pacific Rim College. The impetus of his healing journey started with his own transformative healing process. In accessing the Eastern healing traditions, he found powerful ways to address his own ails; which yielded deeper purpose and meaning in his life. He provides clients with the best possible care he is capable of, and ensures a safe environment in which people can come to release their tensions. Being truly passionate about aiding in the alleviation of people’s distress, his intentions center on enhancing the client’s quality of life. An empathic, attentive, compassionate and sincere person, he brings a depth of presence and warmth to his sessions. Christopher’s main modalities are Thai Massage and Ayurvedic Massage. Thai Massage is done fully clothed, and incorporates acupressure techniques with passive yogic stretching. This is performed on a massage floor-mat. It is a delightful and holistic approach to bodywork, relieving tension and creating greater ease within the body and mind. Ayurvedic Massage uses gliding oil massage techniques and the treatment of pressure points. The massage motions follow along main nerve pathways and energy lines of the body. Both these massage modalities may be complimented by assigned yoga techniques and/or energy healing for enhancement (at the client’s request). However, Yoga Therapy and/or Integrative Energy Healing may also be offered as stand-alone practices. His treatments are skillfully designed in response to the specific needs of the people who seek him out for therapeutic massage and healing support. There is an underlying holistic framework and integrative approach to the practices he uses. Contact 250-306-9283 to book a session today, or christopher@tidalelements.ca for specific questions about the modalities that he offers. Janine was first introduced to Massage Therapy after suffering from severe whiplash, following a motor vehicle accident. After experiencing the numerous benefits and pain relief from several massage treatments, she decided that she wanted to become an RMT. After many years of travel, and working in the tourism and food service industry, she finally decided to settle in Vernon, and graduated in 2006 from the 3 year Massage Therapy Program at the Okanagan Valley College of Massage Therapy. In addition to her private massage therapy practice, Janine has also worked at OVCMT as a clinical outreach supervisor. During a treatment session, Janine utilizes many techniques and modalities, including Myofascial Release,Trigger Point Release, Swedish Massage, and Applied Somatics. She also believes that the benefits of Massage Therapy are greatly enhanced through client education, awareness through movement, and the development of a personalized self care plan. Janine also offers Direct billing. Janine is currently completing her studies in Ayurvedic Medicine, and loves being a mom, hiking, doing yoga, and spending time in India. Contact 250-306-9283 to book a session today, or janine@tidalelements.ca for specific questions about the modalities that she offers. Jodie Willms has been practising massage therapy since 2010 upon graduating from Okanagan Valley College Of Massage Therapy. She enjoys living in the okanagan because of the healthy lifestyle it has to offer. Jodie enjoys training with crossfit, hiking ,swimming in the lakes in the summers and getting up to the ski hills in the winter. Travelling as well as spending time with her family and friends are some of her favourite pastimes. Jodie is passionate about the art of massage, and loves connecting with people through various techniques ranging from a simple de stressing relaxation massage to a deep tissue sports massage. She has been developing her skill set through various specialty training courses such as TMJ mastery (jaw muscle massage and manipulation), and deep tissue sports massage. Jodie enjoys working with expecting mothers and offers various pre-natal massage techniques as well as working with rehabilitation clients. She is looking forward to helping you achieve your personal goals and overall health and well being. Contact 250-306-9283 to book a session today, or jodie@tidalelements.ca for specific questions about the modalities that she offers. In 1999 Josiane’s career changed direction from studying Physics to enrolling at Massage Therapy College in Vernon, BC. That was the moment she was able to align her career with her passion for health and wellness. She has been practicing ever since. Massage therapy brings joy to her life. In the summer of 2018, she and her family returned to Vernon after 16 years. As an avid outdoor enthusiast and busy mother of 3 children, she aspires to teach them to be advocates for better health and to live an empowered life where they are the best version of themselves. She loves working with children and feels like they can hugely benefit from massage therapy. Curious and fascinated with our body’s inner landscape and healing abilities, she has continued her studies in Osteopathy (4th year student at the Canadian College of Osteopathy: Vancouver campus) and in Cellular Nutrition. Outside of her massage practice, she is a teaching assistant at O.V.C.M.T. as well as an entrepreneur collaborating with a local/global team of professionals promoting better lifestyle choices. Her particular areas of interest include: Biomechanics, Cranial Osteopathy, the digestive system, TMJ dysfunction, neck/whiplash/post-concussion syndrome, working with children and families, pain science, the body in stress and trauma, and nutrition. Her personal Interests include: guitar, singing, family time on & around water, meditation, cross-country skiing, trail running, watching her kids play soccer, and reading. Josiane’s most valuable gift is that of caring. She deeply cares about her patients and their wellbeing. She strives to continually upgrade and challenge her knowledge and to “give back”. Josiane is accepting new patients and looks forward to working with you! for specific questions about the modalities that she offers. Kjara is excited to be joining the growing Tidal Team and is looking forward to expanding her practice in Vernon. As a current member of Osteopathy-BC her work is covered under many extended health plans that recognize Osteopathy. Kjara began her career in health and wellness instructing in the fitness industry beginning in 1993. Then in 2002, some personal health concerns led her to begin studying Craniosacral Therapy. She was astonished at the results and developed a great passion for the concepts and for the work itself. Upon learning that Craniosacral Therapy was only a part of Osteopathic Medicine, she immediately enrolled in the BC School of Osteopathy-Vancouver and graduated 5 years later in 2009. All the while maintaining a Craniosacral practice in her home town of Salmon Arm. She presented her thesis in Montreal in 2011 and has since gone on to do some teaching in the field as well as for Equine Osteopathy. Kjara has post grad training in pediatric osteopathy and enjoys the opportunity to work with pregnant moms and infants as well as children of any age. Kjara also enjoys many outdoor activities including hiking, biking, x-country skiing and trail riding with her horses. She also teaches Equine Assisted Learning programs. Contact 250-306-9283 to book a session today, or kjara@tidalelements.ca for specific questions about the modalities that she offers. 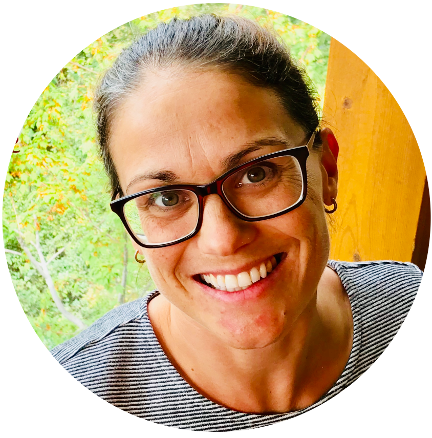 Lani has been a Registered Massage Therapist since 2001 and is a graduate of the 3-year Massage Therapy Program at Okanagan Valley College of Massage Therapy. She has worked at OVCMT as an instructor and Clinical/Outreach supervisor since 2004. She currently instructs Massage Theory and Practical 1 and 2 and the Maternity Preparation course for the Year 1 students, supervises the Maternity Outreach practicum and is the Teacher Assistant for Infant Massage. Lani is very excited to be working at Tidal Elements Healing Arts Studio. Her preferred areas of practice are CranioSacral Therapy, Pre and Postnatal massage, Breast massage and Infant massage. She is certified in CranioSacral Therapy Level 1 and 2 through the Upledger Institute. When not working she enjoys spending time with her husband and 4 children. Contact 250-306-9283 to book a session today, or lani@tidalelements.ca for specific questions about the modalities that she offers. Rayonex Polar PS1000 tests for and desensitizes allergies, balances organs and tissues, stimulates the immune response as well as detoxifying environmental pollutants. The TimeWaver utilizes energy based hair analysis, further identifying energetic imbalances and nutritional deficiencies. Holistic Health Counseling services are also available to assist in developing a holistic, individualized plan towards self-regulation. Lucille is passionate about her work in this progressive area of energy-based therapies. She is excited to have the opportunity to offer these services to the Vernon area. Contact 250-306-9283 to book a session today, or lucille@tidalelements.ca for specific questions about the modalities that she offers. Sarah enthusiastically joined the Tidal Team in the summer of 2015 while she was completing her schooling at the Okanagan Valley College of Massage Therapy. 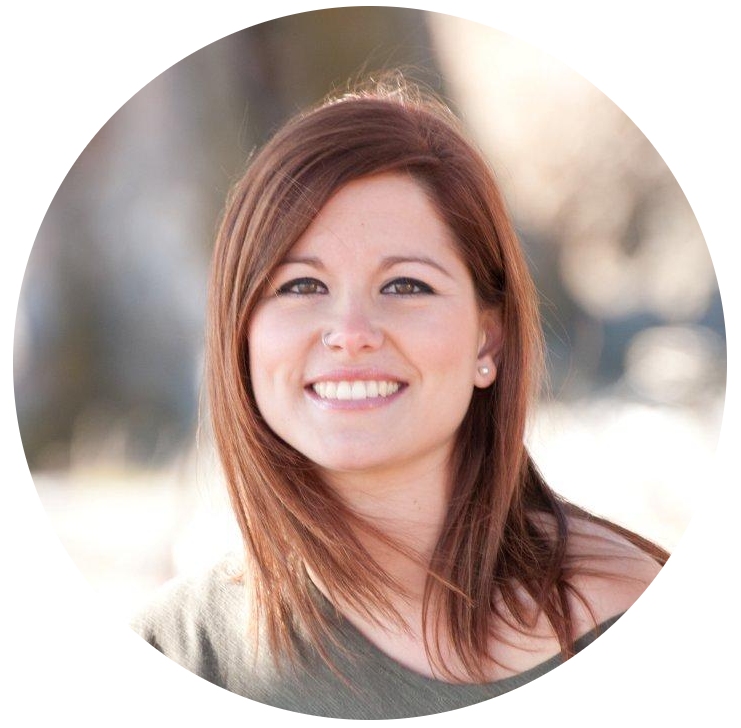 Sarah has had a lifelong passion for knowledge and a desire to help people in a holistic manner, this naturally led her to study Massage Therapy. She has been a Registered Massage Therapist since December 2015, and has furthered her studies in Visceral Manipulation, Craniosacral Techniques and Muscle Energy Techniques. With her main interest being in Women’s Health, she provides Visceral Therapy, therapeutic massage, peri-natal massage, breast massage and infant massage. Sarah believes in being a facilitator for her client’s healing journeys, trusting the innate knowledge we have in our bodies, as we are our own healers. This is the foundation that guides her sessions. Contact 250-306-9283 to book a session today, or sarah@tidalelements.ca for specific questions about the modalities that she offers. Shauna has been practicing massage for 7 years after completing 3000 hours with Okanagan College of Massage Therapy in 2011. Accepting a massage position with a local Heli-ski company was a dream after graduation. Skiing and being in the mountains feels magical and complete. In 2012 Shauna embarked on a trip to South East Asia where she toured 5000 kms by bike through 5 countries. While overseas she obtained her level 1 Thai Massage in Chang Mai, Thailand. In 2014 life took a turn in a different direction when a serious health issue was diagnosed. Health was placed front stage and during this time Shauna embraced many natural and holistic healing modalities to help bring the body back into balance and health. Biodynamic Craniosacral Therapy was a major influence in her healing journey and she had many profound and deep experiences while receiving sessions. The biggest was learning that health is always present even when we are experiencing illness. In November 2017 Shauna became a Registered Biodynamic Craniosacral therapist after completing a 2 year part time diploma program through Body Intelligence. She wrote the BC registration board exams and became a Registered Massage Therapist in British Columbia December 2017. Helping with intuition and skill of massage she has taken Reiki levels 1 and 2 and has enjoyed studying Ayurvedic medicine – yoga’s sister science and one of the world’s oldest holistic healing systems. Shauna’s passion is to live life to its fullest, bring ease to life, smile and laugh a lot! Shauna’s journey into the health care profession began with her initial training as a Spa Therapist through Okanagan Valley College of Massage Therapy in 2004. She had the opportunity to develop her skills in Spa and Health Resort environments and after a short break from practicing massage, she decided to further her education and completed the remainder of the Massage Therapy program in 2011. Shauna’s treatment style combines a variety of techniques, including Myofascial Release, Joint Mobilizations, Swedish Massage, Deep Tissue, Instrument Assisted Soft Tissue Mobilization, Trigger Point Release and CranioSacral. She holds her Certification in Upledger CranioSacral Therapy Level 1 and will soon be continuing studies in Visceral Manipulation. Treatments are tailored to the individual and are geared towards finding the root cause of dysfunction while providing support to the nervous system to encourage a deeper healing process. When she is not at work, Shauna enjoys cooking, yoga, paddle boarding and exploring local hiking trails and when she is not participating in those activities, she enjoys frequenting local farmers markets and artisan shops so she can best appreciate what her region has to offer. Contact 250-306-9283 to book a session today, or shauna@tidalelements.ca for specific questions about the modalities that she offers. Trixie was born and raised in beautiful British Columbia. Her passion for wellness and helping others led her to pursue a career in traditional healthcare in 2011. She also began working for Kindale Developmental Association as a Community Support Worker in early 2013 and continues to work there part-time. This experience has made her comfortable with working with individuals of all diverse ability and adapting treatments as needed. In 2014, Trixie was inspired by a patient to further her education and switch to alternate modalities of facilitating wellness and registered for school at OVCMT where she graduated in August of 2016 and became registered with the College of Massage Therapists of BC. Trixie uses her past experience and her passion for supporting people with disabilities or chronic pain and illness into a specialized career in Massage Therapy. She is interested in continuing to study how massage can be used as a natural wellness tool for people suffering from various health issues. Her empathic nature, experience as a care worker, and education in Massage Therapy have built her into a well rounded health care professional. Contact 250-306-9283 to book a session today, or trixie@tidalelements.ca for specific questions about the modalities that she offers. Zabrina moved to the Okanagan Valley in 2009 to attend a holistic health school in Kelowna, fell in love with the area and never left. In 2010 Zabrina chose Vernon as her home and began building her practice of bodywork and energy healing for horses and people. A lifetime horsewoman, her equine practice allows Zabrina to combine her love of helping horses with her passion for holistic healing, and also allows her many glorious days of driving around the beautiful Okanagan and beyond, while her people practice allows her to follow her path of supporting people in seeking health and healing. Zabrina is thrilled to now offer Biodynamic Craniosacral sessions at Tidal Elements, as she believes this modality has such a profound impact on the healing journey, and at helping us to live our best life. In her Intuitive sessions, Zabrina will custom develop a session based on client preference and which modalities come up as priority that day, for example a session may combine intuitive swedish massage and reflexology, or perhaps chakra balancing with reiki and emotional clearing, finishing with some tuning fork sound healing. Zabrina is passionate about recognizing the roles of all our systems (physical, emotional, mental, spiritual) on our health and life, and also recognizing the gifts in an individual life experience, the resiliency of the physical body, and the magic and the mystery of the soul. When not working Zabrina loves to practice hot yoga, hike, take care of her animals, study, get wonderful treatments from other practitioners, and enjoy the ride of life. “Recently I had my first Craniosacral Therapy session with Zabrina Barteaux. I was suffering with lower back pain and was finding it difficult to move my body. I could not bend over and walking was a struggle.The pain was all consuming. I had done what I know to help relieve pain; stretches, yoga, breathing, slow walking, swimming, resting, pain cream and nothing was working. Zabrina is a healer, I believe. I came in bent over and in extreme pain. The hour I spent under Zabrinas healing hands was amazing! I felt shifts in my body; in my head, my back and my legs.The shifts were subtle and I would have missed them if I had not been paying attention to my body. I left Zabrina with no pain, able to walk, bend, skip if I wanted too. I was elated. Contact 250-306-9283 to book a session today, or zabrina@tidalelements.ca for specific questions about the modalities that she offers.